Inspiring Ideas with artist Jeanne Winters: My New Fav! 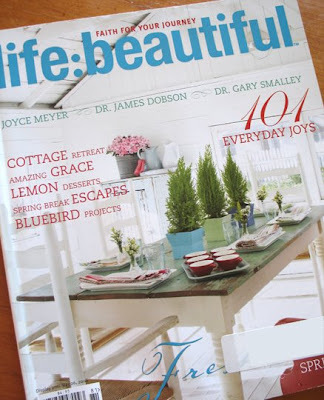 This fabulous newish magazine arrived in my mailbox last week!! Doesn't it look luscious?! 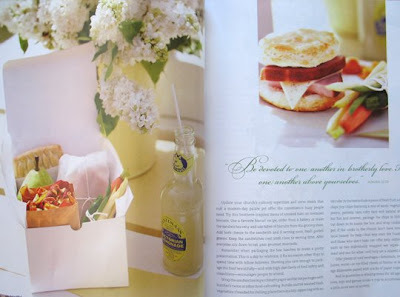 I can't believe I hadn't heard about it until fellow blogger Eleanor tipped me a few months ago. It's so fresh! I quickly became a charter subscriber - ooohh, ahhhhh. This publication is just first-rate gorgeous AND a good read. 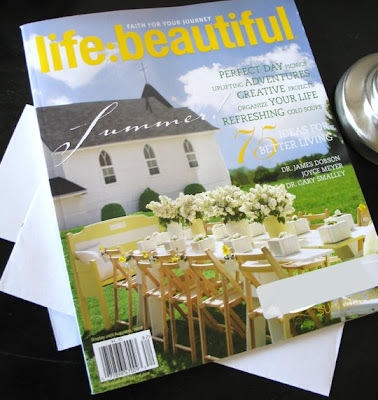 It has inspiring, faith-focused articles PLUS fun, creative ideas for decorating, entertaining, etc.! Please go to life:beautiful faith for your journey, to check it out and see who's carrying it in your area!! Love it! Ooooh! So pretty! It looks like Barnes & Noble carries it. I will definitely have to take a quick run over and check it out! Oh, there is there is a another pretty blue on the pot sitting on the table. I have never seen this magazine. My list of things to do is getting longer by the day. My children start school tomorrow. If I head to the book store I am sure my entire day would be consumed there. Thank you for posting about this mag! How beautiful & inspiring. I can't wait to get it.